Central Romania circumscribe what is popularly known as Transylvania, a genuine tourist attraction, the place where the Saxon craftsmen set out strong and rich citadels and also the region that is offering some of Europe’s best-preserved medieval towns. Sighisoara, Brașov and Sibiu are considered the most popular and beautiful medieval towns. Here in Transylvania, during the middle of the 12th century AD, Saxons came all the way from the Luxembourg, Lorraine, Rhine and Wallonia regions of northwestern Europe. They called their new home ‘Siebenburgen’ (Seven Fortresses) after the seven major fortified towns they built here: Brașov (Kronstadt), Sibiu (Hermannstadt), Sighișoara (Schassburg), Cluj Napoca (Klausenburg), Bistrița (Bistritz), Mediaș (Mediasch), Sebeș (Seh besh’). 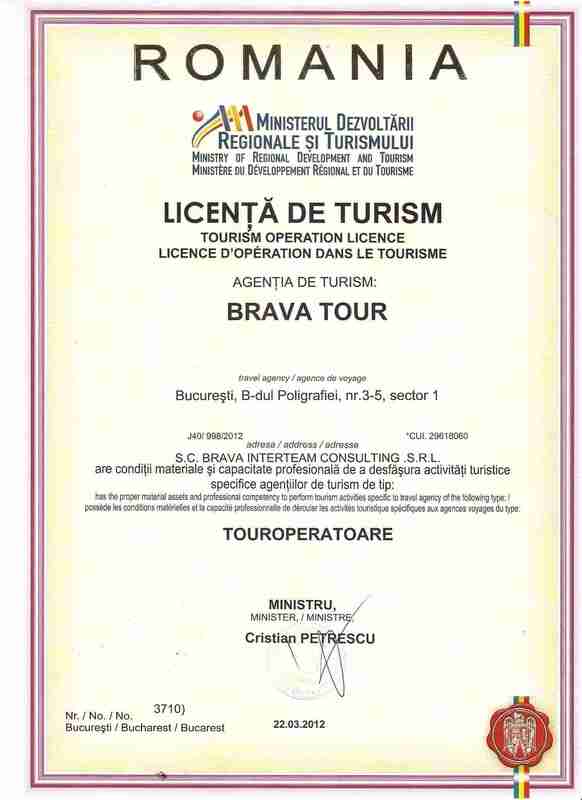 Developed in the first decades of the 13th century AD, based on the evolution of Romanian ancient existing settlements, Brașov became a city before the great Tartar invasion of 1241 and it was first mentioned in documents in 1235 with the name “Corona“. In the 14th century this city was considered the most important settlement in the Brașov depression and one of the largest urban areas in Transylvania. 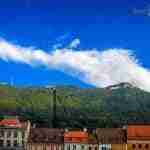 Nowadays, Brașov is an European city with complex and well defined functions, especially in tourism, with a variety of sights, both natural and anthropic. Among Brașov’s best know historical and cultural attractions are the Council Square, the Old Town Hall, the Saint Nicholas Church, the Black Church (considered the largest Gothic church east of Vienna) and the Brașov Fortress. Also, in the vicinity of Brașov you can find the fortified churches at Harman, with its massive 13th century defending towers, and Prejmer, considered the biggest fortified church in Southeastern Europe. 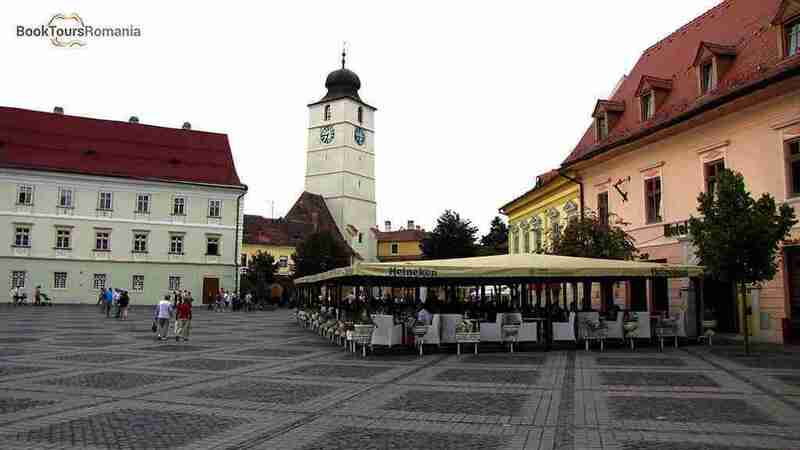 Sibiu was the largest and wealthiest of the seven fortified towns and for 2007 it was designated the European Capital of Culture. 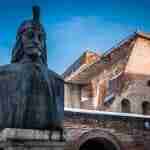 Surrounded by imposing walls, Sibiu’s original fortifications included 39 defensive towers, five bulwarks, four gates. The city was organized in the Upper town which was the wealthier part and the commercial outlet, while the Lower town served as the manufacturing area. 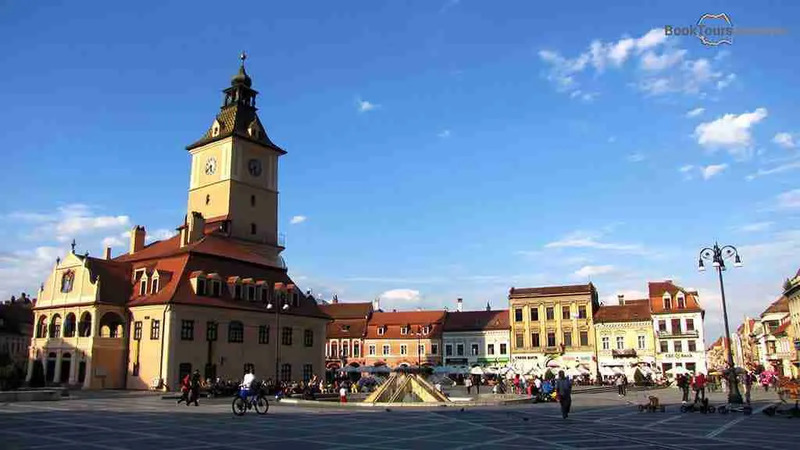 Today the Upper town is the place where you can find the Sibiu’s historic site which includes the Great Square, Huet Square, the beautiful Passage of Steps connecting the Upper town to the Lower town, the popular Bridge of Lies, Goldsmiths’ Square and the Small Square. 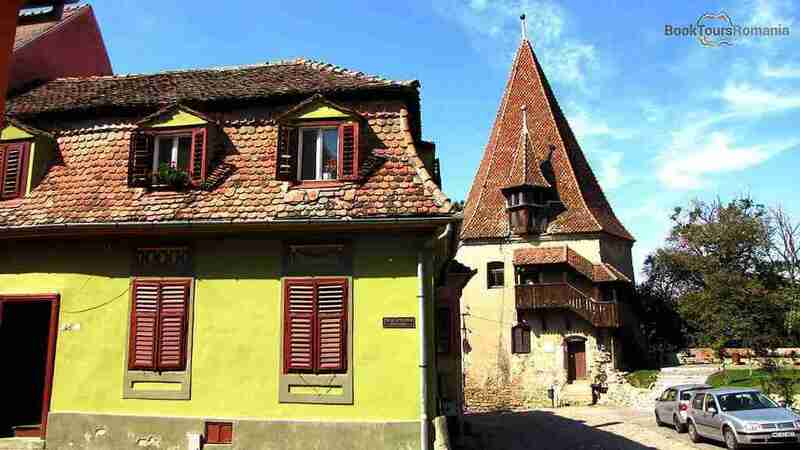 Sighisoara is on UNESCO’s World Heritage list and makes the perfect introduction to Transylvania. 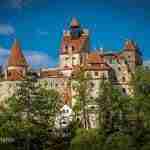 Also, Sighișoara is considered the birthplace of Vlad Dracula or Vlad the Impaler (Vlad Tepes), ruler of Wallachia. It was Vlad Țepeș who inspired Bram Stoker’s fictional creation, Count Dracula. Due to its remarkable architecture, the dominant position and the geographical ambiance, Sighișoara was known since the late 19th century AD as the “Pearl of Transylvania“. The main attractions of Sighișoara are: the medieval citadel, with towers, bastions, churches and houses well preserved until today. 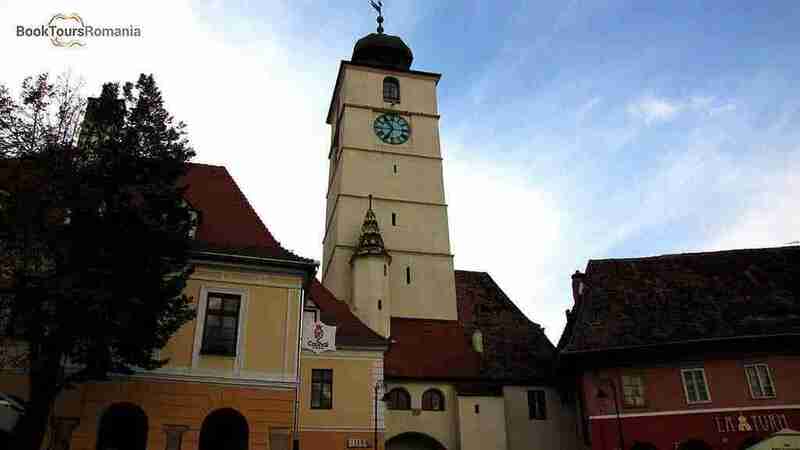 The Clock Tower is the main entry point to the city and the landmark of Sighisoara, which hosts the History Museum of the city, Butchers’ Tower, Shoemakers’ Tower, Tailors’ Tower, Blacksmiths’ Tower, Tanners’ Tower, the Church of the Dominican Monastery, and the Church on the Hill. The city of Cluj Napoca was founded by German colonists in the 12th century AD, on the ruins of a Dacian settlement called Napoca, which dates back from 2nd century A.D and today is considered a dynamic cultural and university town. The main point of the city is Unirii Square (Piața Unirii), surrounded by shops, cafés and restaurants and is dominated by the monumental Saint Michael’s Cathedral, one of the excellent examples of Gothic architecture in Romania. Around to the square there are most of the city’s museums, the best being the marvelous Ethnographic Museum of Transylvania, a true display of folk architecture. South of Piata Unirii is the university area, sprinkled with several impressive buildings, and at a short east walk distance there’s more fine architecture on display, notably the Romanian National Theater and Opera House. Located at the foot of the Bârgău Mountains, not far away from Borgo Pass which connects Transylvania to Bucovina, the town of Bistrița is considered one of the oldest in the region because remains of Neolithic settlements were found near the city. Saxon colonists, who settled in the area in the 13th century, helped to expand the town into a prosperous medieval trading post. The main square, Piața Centrală is dominated by a great Saxon Evangelical church. On the northwest side of Piața Centrală, there is the arcaded Sugălete row which are buildings similar to the fortresses,occupied by guilds in the 15th century. Just like Brașov and Sibiu, Bistrița used to be intensely fortified, but unfortunately multiple fires during the 19th century have left only vestiges of the citadel, including the Coopers’ Tower, which today is housing a collection of folklore masks and puppets. Mediaș city was built on the ruins of the Media fort. The city’s first documentary proof was made in 1267, by the name of Mediaș. In the center you will find shops, cafés and restaurants, all in a medieval landscape full of stories. One of the most important tourist attractions of the city is the fortress, built between the 14th and 15th centuries. Here you can see the walls and the defensive towers of the city, each bearing a name: Blacksmiths’Tower, Ropemakers’ Tower School. Also, the fortified Saint Margaret Evangelical Church is a valuable sight. Built in the 15th century AD on the ruins of a Roman basilica, built in Gothic style, with three superb altar pieces and a colorful pipe organ. The beginnings of this city are closely related to the Saxons sent as settlers in the area by the King of Hungary in the 12th century, but the existence of a Dacian settlement in this place is attested since antiquity. 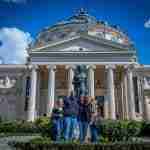 The architecture of the city is another aspect that attracts the attention of the tourists. One of the sight that has a symbolic value for the city is the Tailors’ Tower, located in the south east of the city. Also, Sebeș citadel is one of the most important sight of the city. Another symbol of the city is the Evangelical Church located downtown, built in the second half of the 12th century AD and considered the most spectacular monument of this settlement.